It is only a matter of time before dust and grime begin settling on your flooring. Typically, flooring is one of the first sights anyone sees when entering a home or place of business. If your flooring appears worn or dusty, potential visitors will notice. On occasion, your tile, hardwood, laminate, concrete, or natural stone floors require replacement. Even though that sounds costly, it is quite affordable with with American Flooring Removal. We offer the most affordable flooring removal in Arlington, TX! Your home is your castle. It’s an old saying, but it’s meaning is as relevant as ever–it means you should treat your home appropriately. On occasion, that means replacing the flooring throughout each room. That’s not a bad thing, though. A change of scenery – specifically the flooring – can increase your family’s happiness. There is a common misconception that flooring removal is expensive and time-consuming. It does not seem accessible to most homeowners. American Flooring Removal changes the game by providing affordable, efficient flooring removal in Arlington, TX! Through years of experience, our workmanship has only increased in quality and affordability. We offer dust-free flooring removal for your home or business, right here in Arlington, TX! Back in the day, when a contractor would remove old flooring, they would leave the work area a complete mess. Dust would cover everything. Since day one, American Flooring Removal strived to ensure our entire process is dust-free and environmentally friendly. Using the latest equipment, our team minimizes dust and debris, leaving you with clean, refreshing flooring! You have plenty of excellent options when it comes to flooring removal. Few compare to the quality and affordable pricing of American Flooring Removal, however. We perform our work promptly, but without sacrificing quality. We pride ourselves on our dust-free, affordable floor removal services! 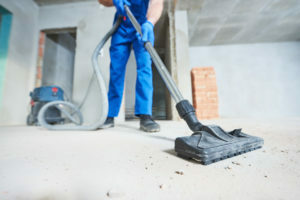 Schedule Expert Floor Removal in Arlington, TX! Is it time for a new floor? Trust American Flooring Removal for top-notch floor removal services in Arlington, TX! Give us a call today at 469-556-3936! We serve entire Arlington, TX 76001, 76002, 76003, 76004, 76005, 76006, 76007, 76010, 76011, 76012, 76013, 76014, 76015, 76016, 76017, 76018, 76019, 76040, 76060, 76096, 76112, 76119, 76120. Team leader Josh & the other 3 experienced team members were fantastic. Professional, polite, good workers. The rookie, on his 1st job was not good. Gouged the concrete floor in several places & marked up the baseboards in several places also. I realize he has to learn sometime but a commercial setting might be a better venue. They did a great job. The workers were very polite and knowledgeable! So glad we used this company! I don't think I would have been able to bear the dust that traditional flooring removal creates. Workers were on time, friendly, & did exactly what was promised. I would highly recommend this company. Saved us from living in a dust filled house! The crew did a great job. They were were here about 3.5 hours. Tile gone, floor clean and they cleaned and picked up everything they brought. The crew was very courteous and friendly.